This presentation walks through case studies that demonstrate the effects of analytics on individuals, organizations, and government; highlights risk areas in designing and using analytics, and provides a framework for evaluation based on Cathy O’Neil’s Weapons of Math Destruction. The presenter will discuss Data Quality, Data Usage, Opacity, Scale and Damage in both positive and negative examples, including the Facebook/Cambridge Analytica collusion that affected the United Kingdom’s Brexit vote and the 2016 United States’ Presidential election, and the classic example of analytics, Moneyball. 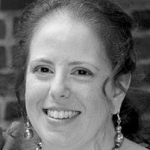 L. I. Rapkin worked as a consultant in computer systems quality in a variety of industries for more than 20 years, before transitioning to her current role as Director of Quality for TCC, Inc. She has experience in the pharmaceutical, medical device, insurance, education, and retail sectors. She has been a technical writer, business analyst, quality analyst, and project manager. She spent 18 months as the lead of the Business Intelligence and Analytics practice for the Indianapolis office of Sogeti USA (Capgemini Group). She is an RYT-500 yoga instructor, and leverages yoga, mindfulness and meditation to improve the human factors in quality. Ms. Rapkin lives in Indianapolis with her husband and their feline overlords.